Cruiser rider training on a race track? Oh yes, because parking lot cone drill efficiency is both questionable and boring. Every motorcycle is subject to the same laws of physics: gravity, weight, G-forces, and centrifugal forces. Nobody understands this better than an ex-racing professional like Headcoach Can Akkaya, who rode a cruiser bike himself after he retired from international motorsports. Are tired of parking lot drills! Want to be a better rider! You decide which pace you’ll be going–nobody else–and the Stockton Little 99 Raceway is a perfect place to learn because it has everything you have to face as a cruiser rider on public roads, from tight turns to the sweepers. It’s just more forgiving than a public street. No distractions, but lots of like-minded students who are sharing a fun day with Superbike-Coach and learning survival skills at the highest level possible, and without pressure. Riding and learning on a track were never more reasonable and fun. This service suits street riders who wants to learn best-riding techniques, customized especially for heavy motorcycles. Ordinary track days never provide step-by-step instruction. This “Cruiser Rider Class” will provide step-by-step instruction for street riders and their daily needs. This program is big–too big to run or learn in one day, so we’ve set it up for two days- Intermediate and Advanced, so we can go into more comprehensive subjects which will be covered over the two-day class. 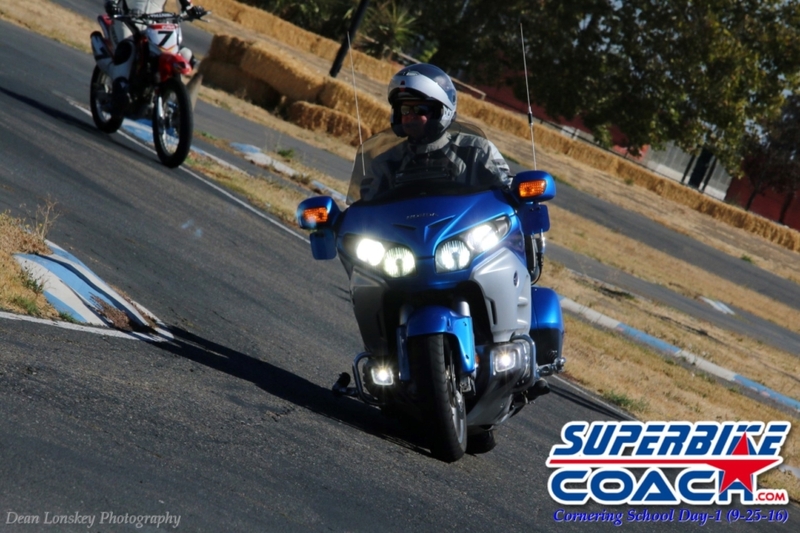 Besides learning substantial riding techniques in classroom sessions, you’ll get plenty of riding time on our fabulous track with your touring bike or chopper. No matter what you think your level is, you should start from the beginning to get the full scope of the instruction. This is not a ‘stage’ or supposed to be for beginner or expert riders–this is ‘the class’ you’ve been looking for. As in all in our other programs, the Superbike-Coach photographer is going to take thousands of pictures of you riding on our track, and all for free. 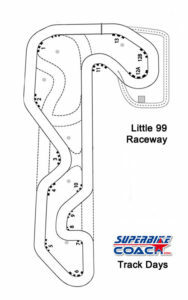 We do either sideline or on-bike coaching while you do tasks on the Little 99 Raceway. This is not for speeding–this is how to find a smooth balance from entry to exiting corners, and to approach them with confidence. The coach observes and makes ‘adjustments’ step by step. You’ll gain control, smoothness, and accuracy, which ultimately leads to relaxation and confidence. Coach Can is also a very good listener for your fears and ”riding demons”, and you’ll learn from him first-hand. 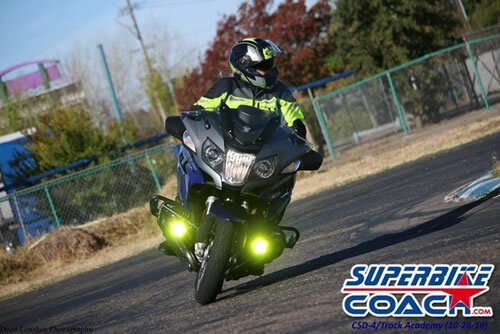 The Intermediate Cruiser Rider class will harmonize your bike control with body and soul. It also prepares you for the next step of this program which is important for even very experienced riders. 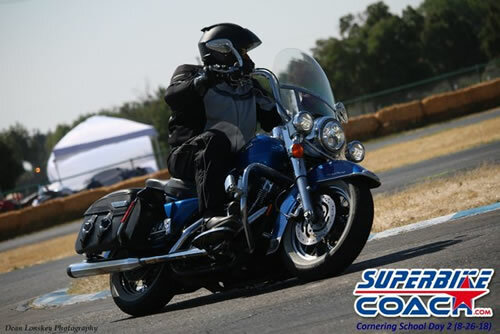 Headcoach Can will sign your Certificate of Completion , which qualifies you for the Advanced class and might gets you a discount with your motorcycle insurance. 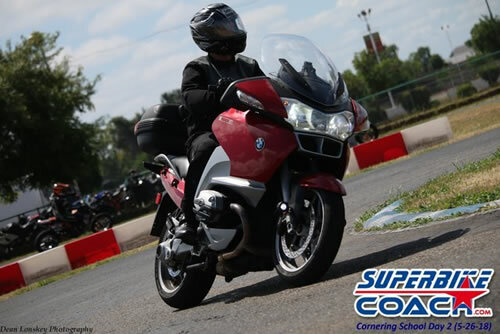 Once you completed the Intermediate Cruiser Rider Class, you’ll be ready for these live saving riding skills. The importance to complete both classes is the only way to remove habits you might have as an experienced rider- or not to even get them as a beginner rider.